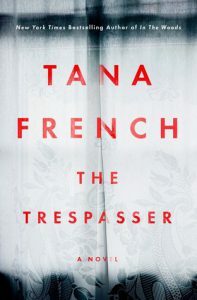 Reading a Tana French novel is like taking a trip to Dublin, Ireland. Like Maeve Binchy, French manages to capture not only the spirit of this city, but its people as well. While French’s novels focus on detectives from Dublin’s murder squad, these are not your classic police procedural mysteries. Rather, they focus on an ever-changing group of wonderfully complicated characters, full of contradictions, whose personal lives are delightfully messy. The victims, themselves, are equally interesting as well. Like the detectives who investigate their murders, their lives are complex and marked with many question marks. Rarely does the story travel in a straight line, but rather zigs and zags until the final page. 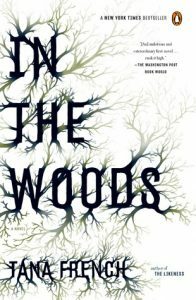 Currently, there are six novels in French’s Dublin Murder Squad series: In the Woods (2007), The Likeness (2008), Faithful Place (2010), Broken Harbor (2012), The Secret Place (2014) and The Trespasser (2016). All take place in Dublin, or the surrounding area. All take place within a short period, usually no more than over the course of a few weeks. Unlike other series, such as the Kay Scarpetta books by Patricia Cornwell or Elizabeth George’s Inspector Lynley novels, French focuses each book on a different character. Some characters, such as Frank Mackey and Mick “Scorcher” Kennedy appear in several books. Others, like Rob Ryan from In the Woods, vanish as soon as their story concludes. That said, each title can be read in no particular order without feeling as though you’ve missed something along the way. Ultimately, French spins terrific tales of suspense and intrigue. Her stories are not always pretty. Often, in their rush to solve a murder, French’s characters reveal their deepest and darkest secrets. Instead of making them unlikeable, it makes them relatable. After all, we all have our secrets.